One glance at some of the busiest streets in Abu Dhabi will tell you: This city’s buildings are not wallflowers. With Art Deco, Islamic and futuristic accents, buildings such as the Aldar HQ, Al Bahar Towers and the Capital Gate are venerable crowns of the town, shining with shimmering surfaces. The most dazzling among them? The Louvre Abu Dhabi. Its giant white dome looks like a chic spaceship parked on the southwesterly point of Saadiyat Island. Some view the structure as a symbol of Abu Dhabi’s growth; others see it as a cultural sign of things to come. Curious visitors are already taking taxi tours to get a glimpse of the new Louvre’s greatness: a 180-metre-wide building made up of eight layers and a roof that is perforated with 7,850 stainless steel stars. The art itself will be housed in more than 50 low, white buildings inspired by the architecture of the medina. Inside, a collection of 600-plus works will be displayed across 23 state-of-the-art galleries occupying 8,550 square metres. This new Louvre is just the beginning of an epic cultural expansion. Two additional museums – both designed by Pritzker Architecture Prize-winning architects – are in development. The Zayed National Museum is currently being designed by the British architect Norman Foster. 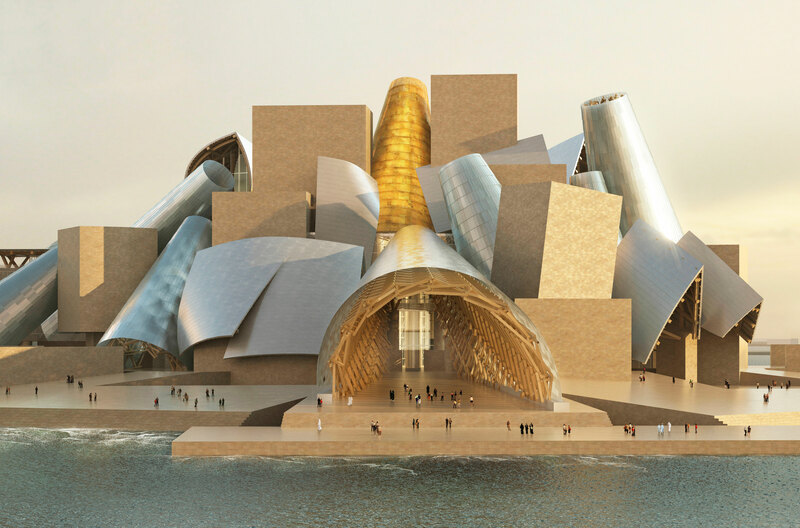 A new Guggenheim in Abu Dhabi is also in the works with renowned architect Frank Gehry. It will be the largest Guggenheim in the world, estimated to be 12 times the size of its New York cousin. Aside from these mammoth citadels of art a burgeoning scene is also thriving in Abu Dhabi. A cutting-edge space called Warehouse 421 opened in November 2015 not far from the port, Mina Zayed, in two warehouses near a fish market and across the bridge from Saadiyat Island. The Danish architect Bjarke Ingels, who is now conceiving Google’s vast Mountain View HQ in Silicon Valley, designed its exhibition areas. 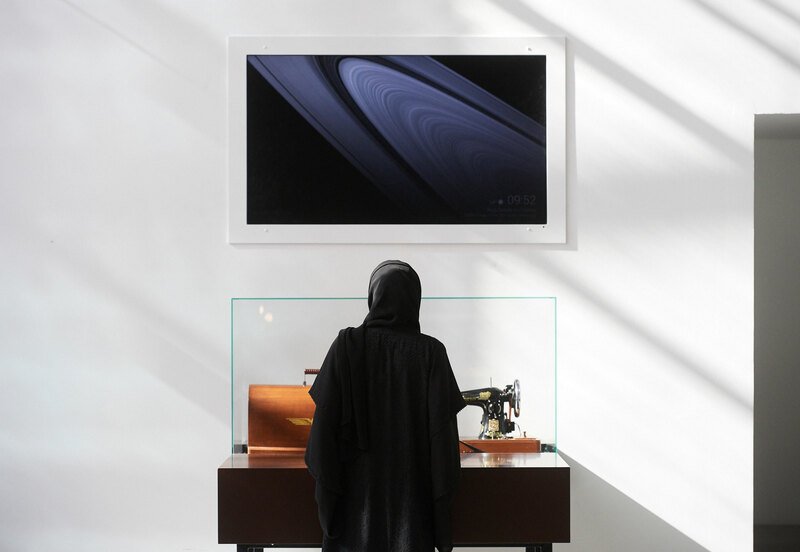 In less than two years, Warehouse 421 has staged nine exhibitions featuring work by up-and-coming Emirati artists. “Our main focus was to see what was needed in the city, not to try to replicate something else,” says Faisal Al Hassan, who curates Warehouse 421’s public programming. 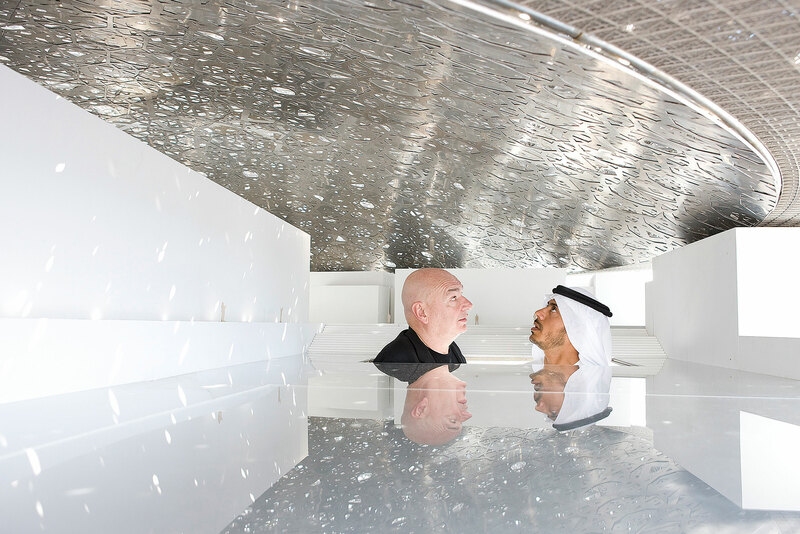 “Abu Dhabi has had an arts scene for years now but with the announcement of the Louvre, we’re hoping to create a hub of creativity.” Other popular spaces in the UAE include Manarat Al Saadiyat, a large cultural centre that hosts revolving shows and a permanent exhibition outlining Abu Dhabi’s creative vision, and New York University’s art gallery. The vibrancy of the scene has also informed the savviest of hotels in the region. For example, Fairmont Fujairah Beach Resort is hailed as the only art-inspired resort in the area. The entire hotel is designed like a giant gallery where potentially mundane moments such as checking in are transformed into visually vibrant experiences. Artworks are scattered throughout the public spaces, like an installation of large lanterns or hand-woven Berber rugs in the reception area. 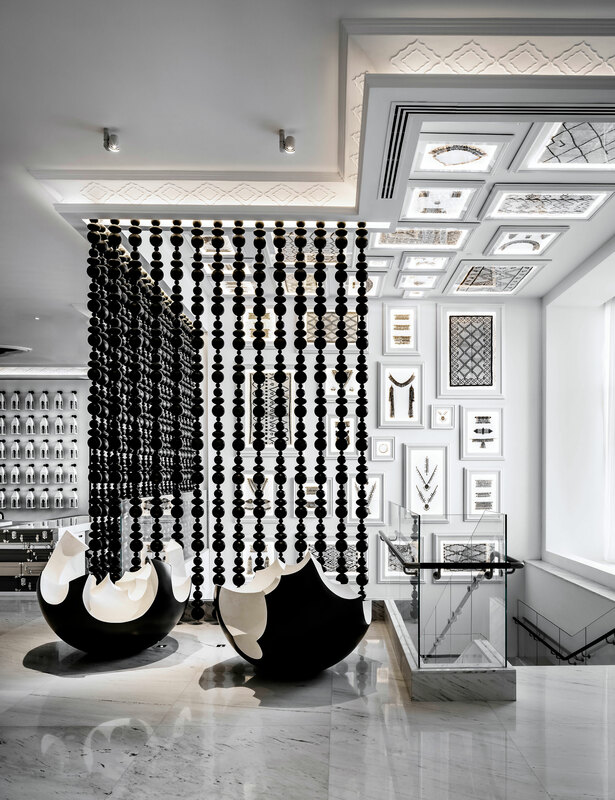 A striking black-and-white, hand-sculpted installation by the staircase is a reference to an ostrich egg from 2,500 BC that was discovered in the area and now resides in Fujairah Museum. Even the pool is inspired by the design of a Persian carpet. Elsewhere, works by local artists are woven into the fabric of the Fairmont experience. Fairmont Bab Al Bahr in Abu Dhabi recently hosted an exhibition of work by Syrian-born artist Hisham Adwan, and Fairmont Ajman is following up with a show by the local artist Budour Al Ali.